Taco Bell now has French fries. Or at least at select locations. 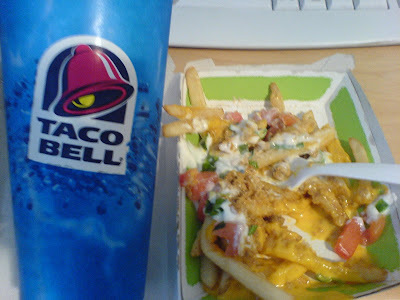 Taco Bell has never really officially had fries. If they did it was because they were sharing space with one of the other Yum! Restaurants. The usual side offering would be nachos or cinnamon twists, not fries. The new concoction, called Fries Supreme (which doesn’t appear on TB’s online menu), consists of regular cut fries covered in cheese sauce, sour cream, tomato and green onions. As I mentioned in a previous post, those must be some soggy fries. I wonder if I could order them plain? Bacon Cheese Fries... Or Are They? 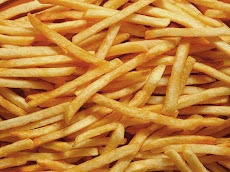 Who Put the Freak in French Fries?